Logos, jacket backs, direct-text and more! Get a custom look designed for you! Are you in need of large scale orders? Do you have a small business you need outfitted? 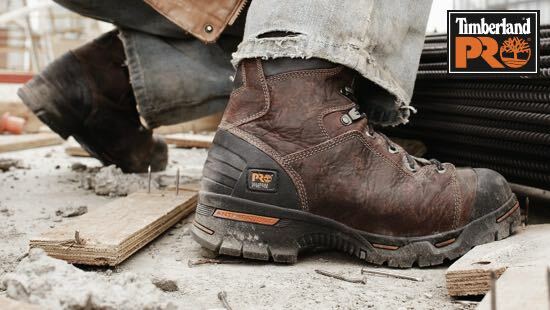 Do you have any question regarding workwear for your company or yourself? 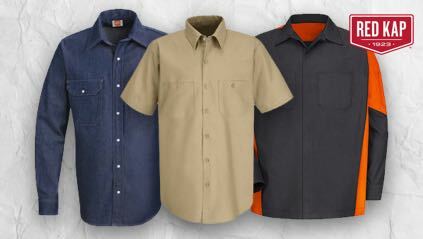 Taking care of your work garments is an important part of the longevity of your workwear. Tough. Durable. Capable of Any Job. 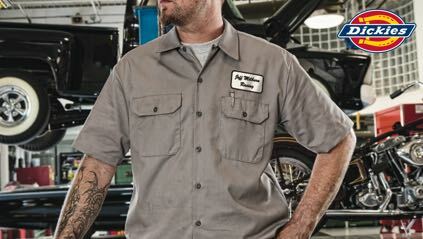 Automotive Workwear is the nations largest internet supplier of Red Kap industrial uniforms and work clothing. 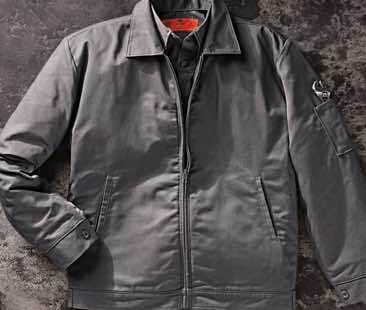 AutomotiveWorkwear.com provides wholesale pricing of discount coveralls, work shirts, work pants, chef coats, aprons, lab coats, and uniforms to a wide range of industries; automotive, food service, security, industrial, and housekeeping. Red Kap produces high quality work clothing and uniforms that is known throughout the world. Many businesses find they can save money by purchasing work clothes directly rather than renting work uniforms for their employees. Whatever your professional garment requirements are; discount uniforms, chef apparel, lab coats, hotel housekeeping uniforms, security guard shirts, industrial uniforms, automotive work clothing, chef coats or restaurant uniforms, Red Kap has a garment solution for you. 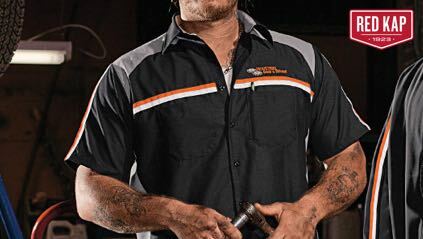 Automotive Workwear may be an unusual name for a full line work clothing uniform company but our mission is simple: to provide our customers with quality merchandise, low prices, and great customer service. Red Kap, a division of V.F. 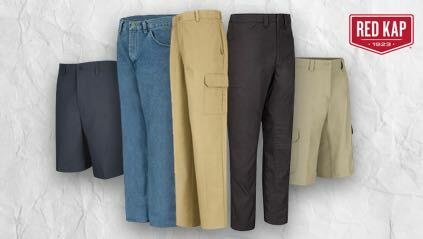 Imagewear, is the largest manufacturer of work clothing for men and women. Since 1923, Red Kap has set the standard for creating a selection of high-quality, durable and attractive professional work clothes for the uniform industry. Red Kap continues to meet the needs of today's industries, manufacturing industrial work clothes with comfort, durability and the largest selection of styles and sizes. Red Kap understands that hard work deserves high quality. That's why Red Kap is the only choice for work clothes and quality uniforms.